Mint condition. 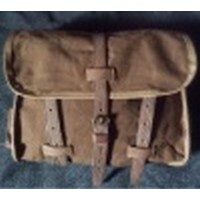 Original WW2 items. Shipping to Poland was ultra fast! Received my dozen bundle of hose tops in a timely manner. I got them to use with a Victorian camp impression and they will be great but as I am a big fan of John Masters I really wish I had a squad of Gurka Riflemen to share them with. Thanks. I couldn't pass up this deal, as I have 4 mannequins that will use this particular type of hose tol=ps. Thants for being there. Great deal, great stuff, spot on colour. Lovely! Came in a couple of different shades, but I plan to repair my denison with them anyway.